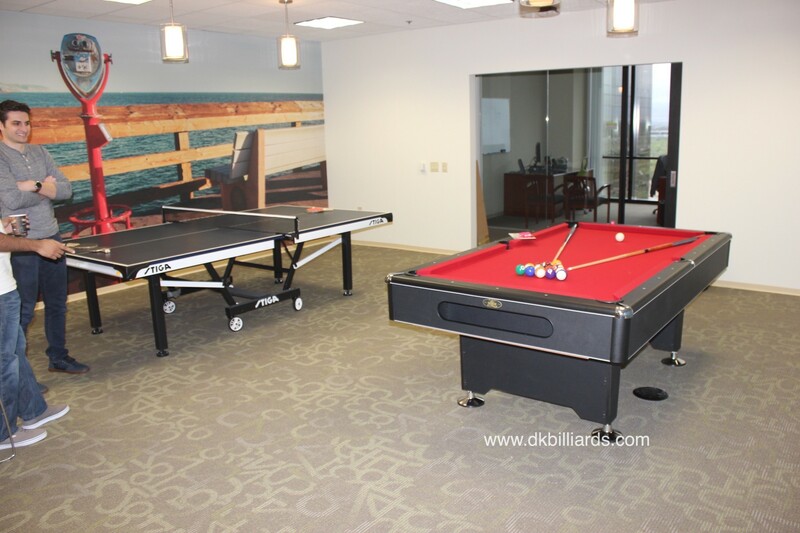 Irvine, California company Accenture wanted to give employees a little distraction to their workday. 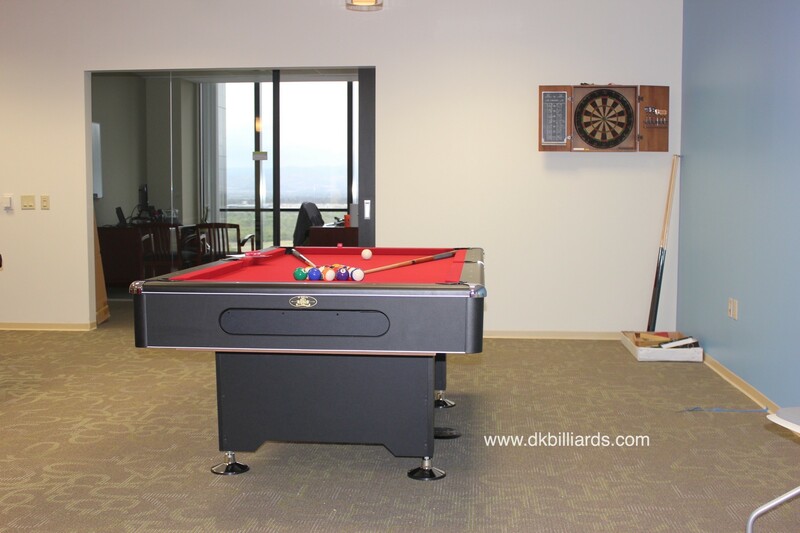 This 7′ Blackhawk slate pool table was installed next to the ping pong table. 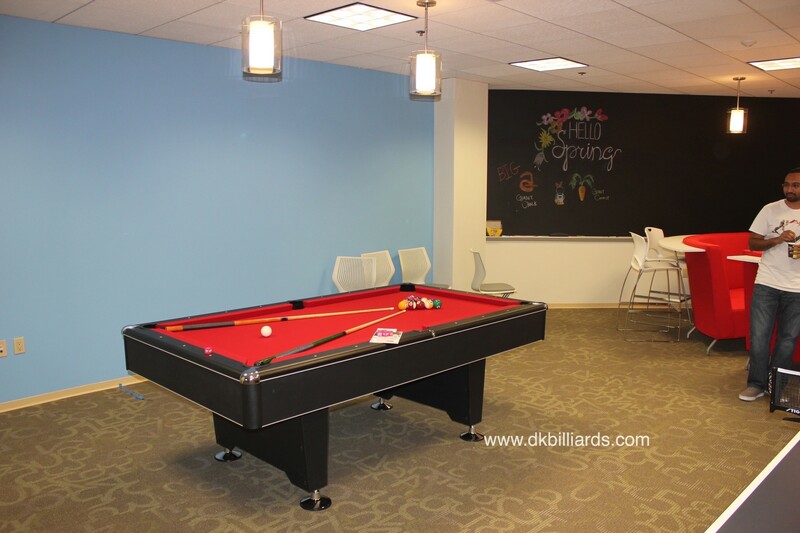 Company break rooms give team members a break from job stress and a fun way to bond. 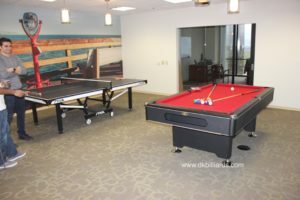 The Blackhawk is a perfect choice for a space like this. It’s affordable, well built and looks fresh. 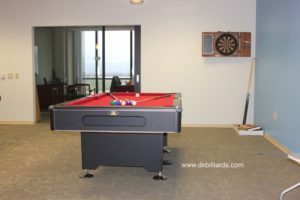 It features a three piece, one inch slate, and K-66 profile cushions. Chrome trim and ball storage on the end give it a retro feel. This table is ready to inspire some great work!